Uherské Hradiště combines the riches of the plain, the fruitfulness of the hillsides and the wilderness of the mountains. This 13th-century town guards the Morava River on the plain. Built by King Otakar II to protect the rich trade routes through Moravia from invaders. Just a few miles west or east of the city, hills rise gently. Here many vines take in the long summer sun, and plum trees sag with the weight of ripening fruit. Beyond the hills are the wooded mountains, trails creased along their sides and over their rounded peaks. Once the fortress-protector, the town is now the gentle heart of these lands. 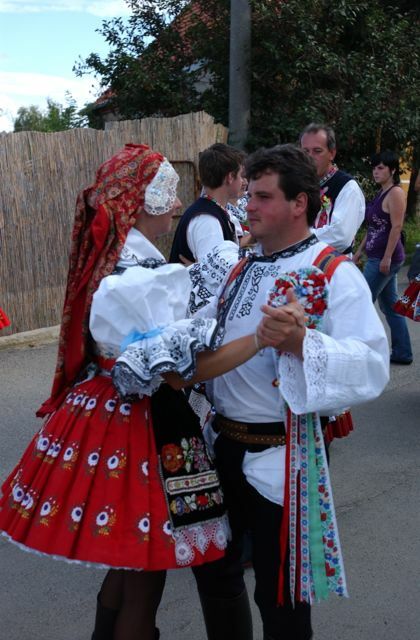 Every year during its wine festival, people from the surrounding region enter the city singing traditional songs - more gypsy csárdás than Germanic omp-pa-pa. When not dancing in their towns’ unique clothing, called kroj, they share the riches of their villages with their neighbors. The event celebrates the life they live every day. Explore that life with us! Visit the city’s squares (and perhaps one of the most unique zoos in the world) before setting off to discover a happy-go-lucky countryside. Any direction could merit days of exploration. To the northwest is Velehrad, one of Slavic Christianity’s greatest shrines dedicated to Sts. Cyril and Methodius. The Basilica in Velehrad takes the Chřiby Mountains as its backdrop. To the southwest, the vineyards of Polešovice make some of the best wines of the Czech Republic. 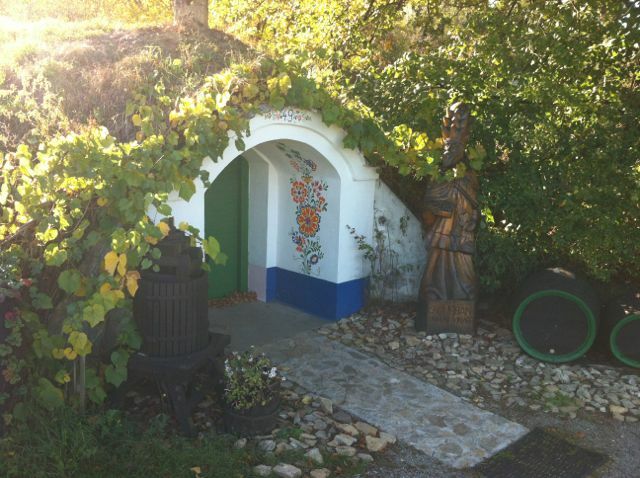 This town interacts with nearby Hodonín, Strážnice and Kyjov, to create a heart of Czech wine culture. It is also the center for folk music and dance, recognized internationally by an annual festival. Heading east, the Bilé Karpaty (White Carpathians) surprise hikers with glimpses of castle ruins and traditional villages creating the mysteries of slivovice (plum brandy). 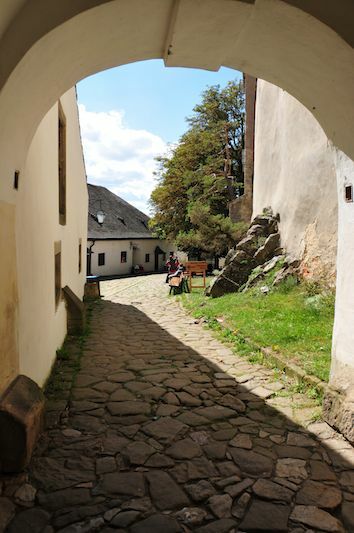 Bike trails run along the river, branch off into the hills, and wind their way back to Uherské Hradiště where a variety of restaurants and a comfortable bed wait. Finally, to the northeast you will find the heart of Moravia’s industry in the town of Zlín. From the remains of this 20th-century industrial empire can be found a network of canals, today pathways for cyclists and houseboats, as well as an architectural legacy that includes masters like Corbusier. 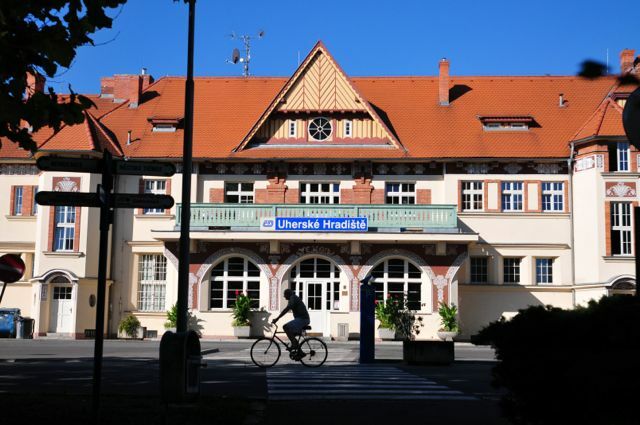 For families traveling with children, Uherské Hradiště is an ideal destination. Indeed, there is something here for every taste and generation. 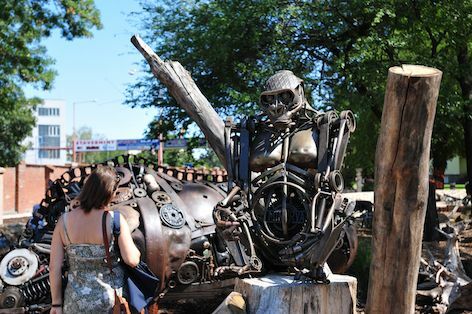 The region deserves at least a full day to explore, but one should spend several more days to discover some of its many surprises.